I receive great satisfaction helping others through the loss of a child. It has become my passion and my life mission. I am a survivor, but every day brings its challenges. Not only have I survived the loss of a child, I have helped 1000’s of others through my book, the blog, workshops, and coaching. Dealing with the loss of a child is the toughest thing a human can endure. The loss of a child can take you to depths that you didn’t realize existed. It turns your life upside down and forces you to find the new you. It steals your hope, happiness and confidence. It replaces those things with despair, sadness, and fear. It’s not easy and sometimes you need help. Although I am not a licensed counselor, I do understand what it is like to lose a child. I often hear from grieving men and women that tell me they have a difficult time finding someone who understands what they are dealing with. Not only do I understand it, I lived it and survived it. I made a lot of mistakes along the way, but mistakes I had to make in order to survive. It’s important to understand the impacts child loss can have if you have any hopes of truly surviving. We will talk about the really dark stuff that we have all endured. All of it. It’s a scary journey because it forces you to face the pain head on. It must be processed in order to learn to live again. I work one-on-one with you using telephone, Skype, face-to-face meetings and/or email. You will have access to me 24-7. I wish had the time to work with everyone because I know the power of having a survivor guide you through the pain. However, I will only be working with 10 people at a time due to my limited availability. If you would like to work with me or hear more about my coaching/mentoring services, please email me. Working with other grieving parents provides me comfort. It gives me a sense of peace to be with others that understand this pain. I believe it is important to share my knowledge and experiences while facilitating group conversations with others struggling to get through the day. 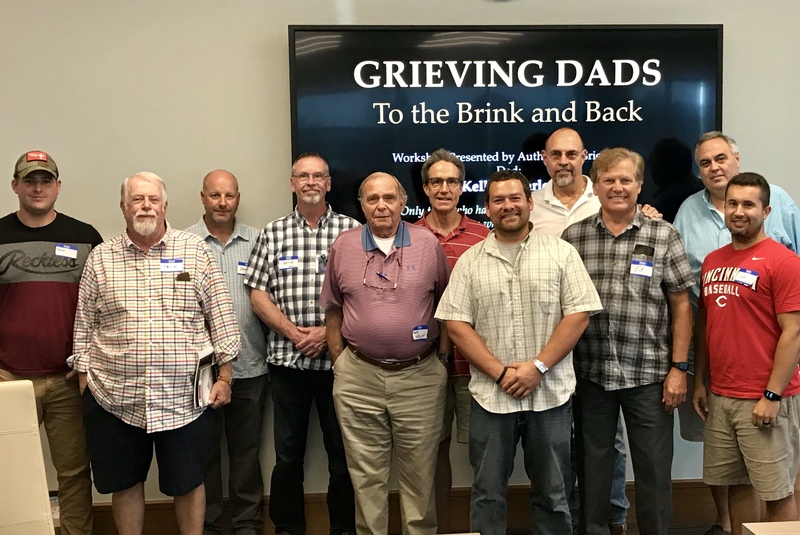 To see the transformation of a grieving parent, witness stories told for the very first time and to see great sadness being released is powerful. I also believe it is vitally important to educate other professionals (clergy, nurses, counselors, doctors, funeral directors, etc.) on how to deal with the grieving parents individually and as a whole. If you would like to work with me or hear more about my workshops/retreats, please email me. Utilizing my story to empower, inspire and guide others is something that means a lot to me. I learned about surviving adversity and a lot about life in the years I spent in great despair. There were times I didn’t think I was going to survive, but I did. If your organization is looking for a powerful story that inspires, please email me.